Vases! Do you really know what makes them special? The flowers, right? In fact, any woman will tell you that a vase is never alluring until you have flowers in it. However, it is a whole different story, for those who have a great desire for vintage items from the bygone days. 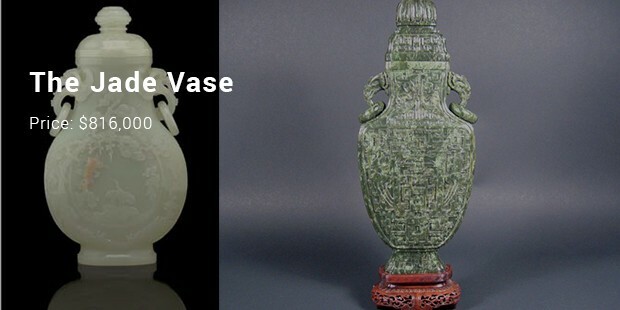 Truth be told, an antique vase can not only hold flowers, but also has an interesting historic background. Perhaps this is why it would cost you a great deal of money just to own one. Let us review some of the expensive vases in the world then. 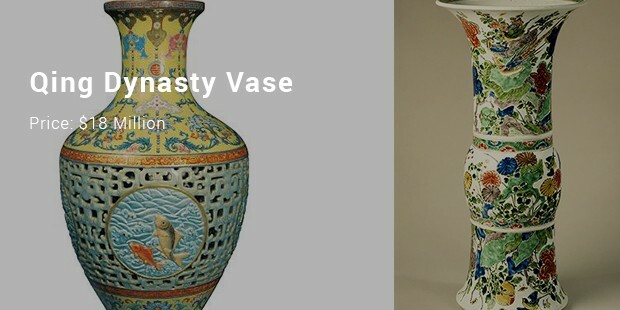 In a recent auction, the Chinese Qianlong vase set a new record as the most expensive porcelain item ever sold in an auction, when it sold for an astounding $53 million. This 18th century vase is approximately 16 inches tall and elaborately decorated with images of fishes. 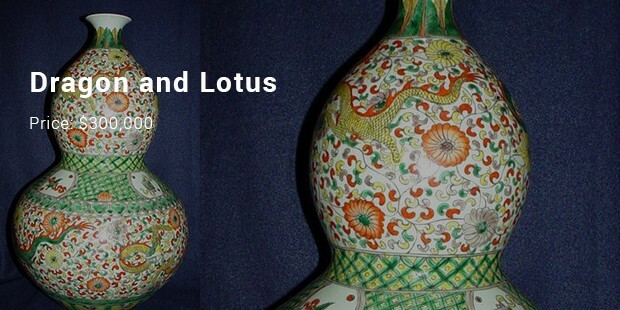 It is believed that it belonged to a royal family but was taken from them during the 2nd Opium War. 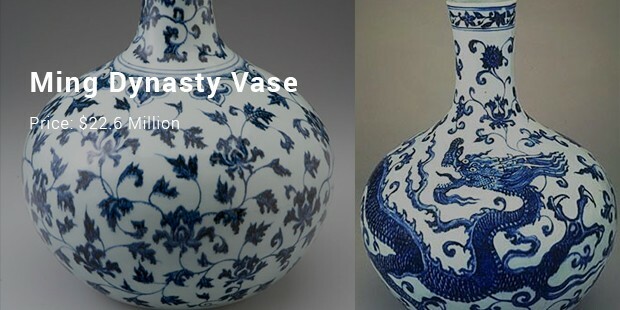 Dating from the 15th Century, the Ming Dynasty imperial vase went for $22.6 million, sold by the Sotheby’s auction house. This was almost twice its lower estimated value. Surprisingly, it was bought via a telephone bid by an anonymous buyer. 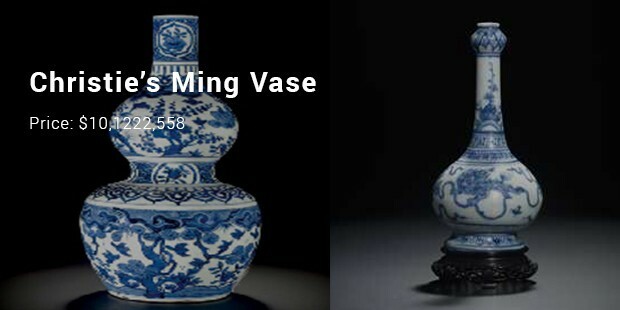 This Chinese vase staggered many when a bidding war arose between experts, who were convinced that the piece in deed hailed from the Qianlong dynasty from the Republican Period. The beautifully decorated urn was sold for an exorbitant $18,002,500, at the grand auction hosted at the Sotheby’s auction house. 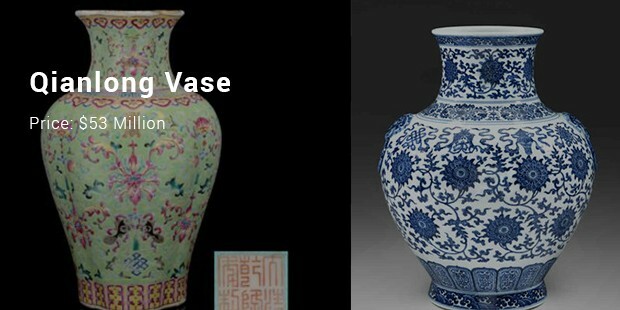 Purchased by Steve Wynn for donation to a public museum in Macau, the 600 year old vase sold for $10,122,558.00 at a Christie’s auction in Hong Kong, placing it in the list of the world’s most expensive vases. The vase is engraved with red scrolling flowers and is definitely very rare. 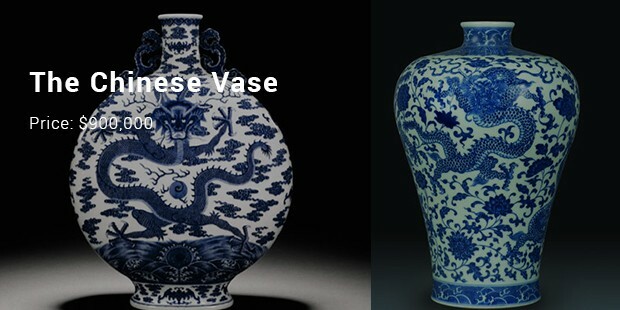 So there you have it; a brief overview of some of the most expensive vases in the whole world. If you ask me, flowers are not really necessary for such antique and valuable vases. But then again, it is a matter perception!